October | 2013 | Where's Merrill? For over eighteens only …. The Carling Brewery has introduced an odd marketing campaign in the west of Ireland. If you purchase sufficient cans of Black Label lager beer, the purchaser is given a box of J-Blocs – with no explanation as to why the purchaser deserves such a bizarre gift. The J-Blocs box indicates that only persons over 18 years of age are entitled to this gift. Fair enough. You have to be 18 to buy beer in Ireland. Another teaser states that you need “steady hands” to handle the mysterious J-Blocs box. I opened the box when I got home from town. It was full of neatly cut sticks of firewood. With steady hands, I lit a fire in the hearth. 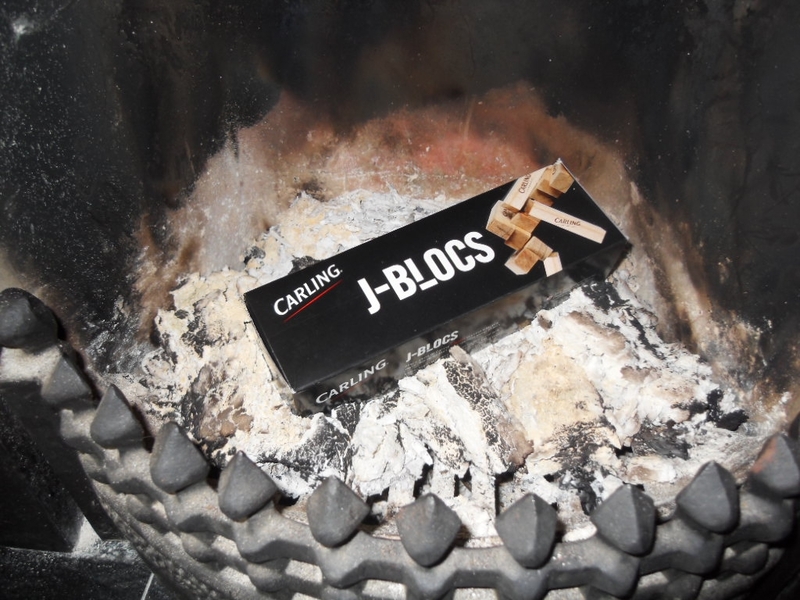 The J-Blocs added to the glow of burning sods of turf in no time at all. It’s a clever idea. Stay in, booze at home and keep warm. Owing to the non-preservation of the majority of 18th century Irish church parish records, and a fair few of the early 19th century registers, the branches of most Irish Family Trees cannot grow with much clarity beyond the years preceding the Great Famine. This is highly frustrating unless you come across rare circumstances in which an ancient Irish forefather wrote down their known ancestry in a formal manner for the benefit of all following and related descendants. This might have happened if your Irish ancestor was wealthy and/or descended from the British gentry. 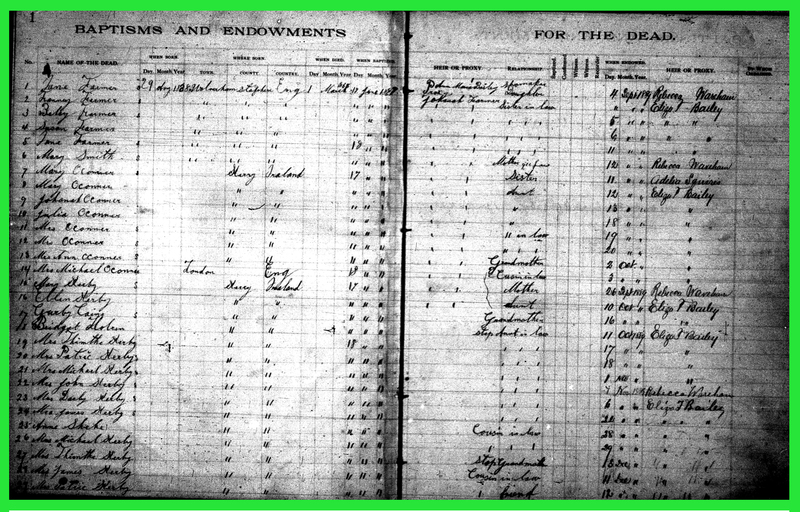 These types of ancestor could afford to employ academics to research and preserve their family history. Poorer folk, usually immigrants into the New World, occasionally created their own Family Bible from passed down oral histories in which the early family genealogy was listed haphazardly – but even this kind of valuable scribble (if found) in the front or back of a family heirloom book can sometimes be proved to be less than 100% reliable. 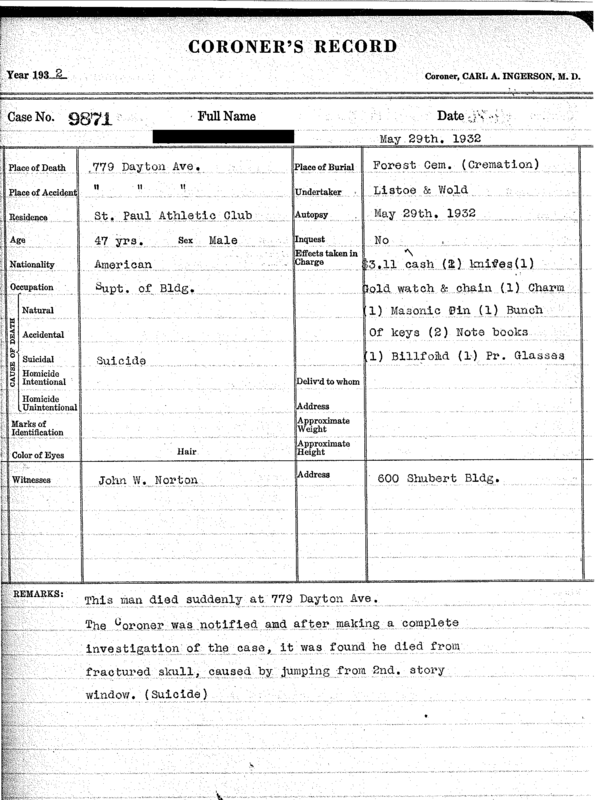 Long-believed family lore is not necessarily family fact. So – could there be any way of discovering the names of the parents and grandparents of an Irish native born into virtual poverty at the beginning of the 19th century, and from a rural region where no parish registers survive until about 1850 onward? Well, yes – if you are very lucky. I came across an Irish ancestor who lived a fairly unique life, and detailed research into her background eventually led to the unearthing of parental information plus the full names of the four grandparents born in a remote part of Ireland in the mid-1700’s. This ancestor was Johanna O’Connor born on 20th December 1807 in County Kerry, SW Ireland, in the parish of Castleisland. 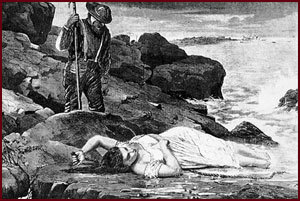 Many of her poverty-stricken peers headed west to America and Canada in order to escape annual hardship and near-starvation as part of large Catholic families living in mud and timber shacks, eking out an existence on barren mountainside farm fields leased to them by absent, greedy landlords. In most cases, the ancestral farmland had been stolen from the Kerry natives by invading English armies centuries ago, and then distributed among the army’s officers and financial backers. The local families then had to pay extortionate rent for the privilege of remaining in their primitive homes located on land which their ancestors had farmed as far back as medieval times. Johanna’s story of survival took an unusual route though. For reasons unknown, some of Johanna’s older relatives had migrated in the opposite direction to the beckoning Atlantic Ocean. We now know that some of her extended family members were living in London, England, by the 1830’s. As a young lady, Johanna must have been invited to London to escape the West of Ireland poverty trap. It would have been a mind-boggling cultural shock for the girl from a windswept Kerry mountainside to find herself in the biggest city in the world, at that time, complete with its busy and dirty streets lined by overcrowded tenement housing blocks. In 1835, at the age of 27, Johanna became acquainted with a moderately successful Englishman named John Smith Farmer. Her subsequent fiance came from a completely different background. John was the son of a comparatively wealthy merchant from Wolverhampton in the English midlands, and after joining the family business he too found himself in London as the purchasing agent for goods sold in the Farmer stores. The romance seemed more unlikely because John was from an established and respected Anglican family whereas Johanna knew of no other faith than Roman Catholicism. Nevertheless, their courtship led to a marriage in London, and Johanna had no qualms about converting to the Protestant church to appease her in-laws. John & Johanna set up a marital home in the Wolverhampton Black Country where John’s mother still resided. There, in the space of seven years, Johanna conceived and delivered two daughters followed by a son. In the early 1840’s, John & Johanna became fascinated by the new religion of Mormonism and invited visiting Elder Lorenzo Snow to preach in their Wolverhampton home. Then a double tragedy struck the Farmer family – John’s mother passed away, and not long after in January 1844, John Smith Farmer himself died after developing a painful bowel complaint. He was only aged 35 years at death. Johanna was now widowed and living in an unfamiliar English city, trying to raise three young children. Those of her in-laws who were still alive could not afford to support extra family members, as the Farmer Factor businesses fell into decline. Johanna quickly dropped in status from middle class housewife to impoverished beggar woman, wondering why the Good Lord had allowed her dreams to be shattered. She turned to the supportive Mormons to find an answer. Mormonism, developed in America during the 1820’s, arrived in England via missionaries in 1837. The new Christian doctrine spread southwards from its first base in Preston, Lancashire, allowing local Elders to establish branches in most of the industrial cities and towns of northern England. In these places, the missionaries were able to convince desperate down-and-outs or persecuted manual workers that a better life awaited them in new Mormon settlements in the Wild West of America. More significantly, the officers of the burgeoning Mormon Meeting Houses were able to offer a radical credit system to permit destitute would-be emigres to board ships from the Port of Liverpool bound for America on the understanding that their passage must be repaid from wages earned in the Mormon camps. 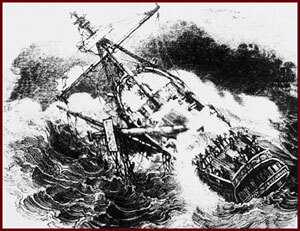 Thousands of English and Welsh families signed up and made the treacherous journey west, over rough seas, and even rougher pioneer trails. Among the pioneer immigrants were a few Irish, Scottish and Scandinavian natives, caught up in the migration for a variety of reasons. Irish widow Johanna with her English children fell into the latter category because of her previous conversion to Protestantism and residency in England for a decade. Six weeks after her husband’s death, Johanna took the plunge and sailed across the Atlantic with her young family. The promise of a new life in the New World, and an escape from the threat of the feared Workhouse institutions, clearly had its appeal to a woman not yet aged 40; a woman who had escaped poverty in her Irish homeland as a youngster. Johanna arrived in the newly-established Mormon city of Nauvoo, Illinois, just in time to see the Mormon founder Joseph Smith arrested for polygamy. Later in 1844, Joseph Smith was murdered by an anti-Mormon mob who stormed the nearby Carthage jailhouse. Johanna and her children were forced to flee to the city of St Louis, an American Mormon stronghold. Here she stayed for ten years as her children completed their education. Her elder daughter found a husband, and her other daughter became a teacher – but Johanna’s journey to Mormon salvation was not quite complete. By 1847, Brigham Young, the new leader of the Mormon Latter Day Saints, had sent his scouting parties out west to explore uncharted American territories. The Mormon dream was to colonize and develop a far western state in which all its church followers could resettle and prosper. Utah, and in particular the Salt Lake Valley, was to become the Promised Land. And so, in 1856, Johanna O’Connor and her teen-aged son loaded a few belongings into their ox-cart and joined one of many Pioneer Wagon-trains heading west to Utah. They had to travel through hostile native Indian territory and endure the extremes of natural weather conditions. Numerous pioneers perished along the way, and never saw Salt Lake – but Johanna survived again and settled in completely new and basic surroundings in the town of Manti UT. Even though her son Joseph gave up the arduous Mormon lifestyle and religion, and soon returned to St Louis, Johanna appeared to thrive in the rural wilderness of Manti. Her new home must have had some similarities with the ruggedness of her County Kerry birthplace. Johanna lived for 38 years in Manti until her death in 1894, shortly before her 87th birthday. Her son Joseph returned to be with Johanna in her final days. About five years before her death, Johanna followed the doctrine of Mormon founder Joseph Smith’s preachings and started to “baptize” her deceased relatives into the Church of the Latter Day Saints. In so doing, Johanna formally registered the existence of, and her relationship to, every family member she could recall who had passed away. Johanna managed to fill up three entire pages of the Mormon Baptismal Registers for the Dead over a 12 month period. The full names of each relative, and their origins, were meticulously recorded. Johanna baptized her parents, and grandparents, and uncles and aunts, and great-uncles and great-aunts, and siblings, and one deceased child. Then she moved on to step-relations because a grandfather had re-married after being widowed. Finally, Johanna listed and prayed for all deceased members of her English in-law family. Her memory in old age, far from her Irish homestead, was astounding. Further research indicates that Johanna regularly communicated by mail with family connections in England and Ireland because she had “up-to-date” knowledge of deaths which occurred long after her arrival in America. The image below displays the first tranche of Johanna’s Baptisms for her dead relatives. The message for all Family Historians is simple. Never give up, and never rule out the outrageously unexpected. When I first started researching Johanna, I presumed that she was just your typical Roman Catholic Irishwoman who managed to escape the Great Famine and rebuild a life in the USA. How wrong can you be? A few snippets of evidence will be revealed here, from time to time.